RICHMOND, VA (September 30, 2014) – Sandra “Fini” Serafini has been around the game of soccer since she was four years old. It is this beautiful game and the people she met along the way that shaped her into the amazing young woman she is today. Originally from Hamilton, Ontario, Canada “Fini” has been a go-getter from day one, forging her own path and following her dreams. She moved to the United States in 1993 to attend graduate school, where she went on to obtain a Ph.D. in Speech & Hearing Sciences/Neuroscience. 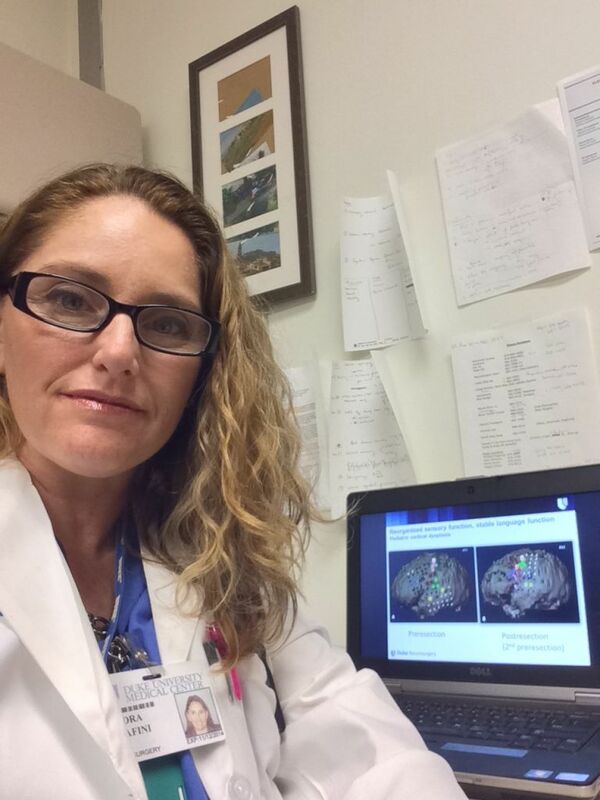 Fini’s current day job is sitting as an assistant professor in the Department of Neurosurgery at Duke University Health Systems in Durham, North Carolina. Working with adult and pediatric epilepsy and brain tumor patients is impressive and time consuming, but Fini’s resume does not stop there. She is well known in the soccer world as one of the top women referees and evaluators. Fini’s referee career began when she was in grade school, officiating volleyball to make some pocket money. Her first go as a referee for a soccer game came at age twelve when she was asked to fill in. It was then that Fini was bit by the bug, and years later she began refereeing on a regular basis. What started out as a job in her spare time, turned into a thirty-year career. Fini has moved from officiating to an instructor, referee-coach and administrator. She currently sits on the Board of Directors for the National Association of Sports Officials (NASO) and is the Region VI representative for the NISOA. Fini was appointed by the USSF as the Women’s Professional Coordinator in 2011, assigning matches for the professional league and international matches, joining the Professional Referee Organization (PRO) in 2013 to continue assigning, developing, evaluating and training officials. Fini continues to give back and is an inspiration to the women’s soccer world. She has taken on the role of clearing the path for the next generation of officials, so that they can achieve everything their natural talents and hard work merits them to do. Fini, thank you for being an amazing young woman.